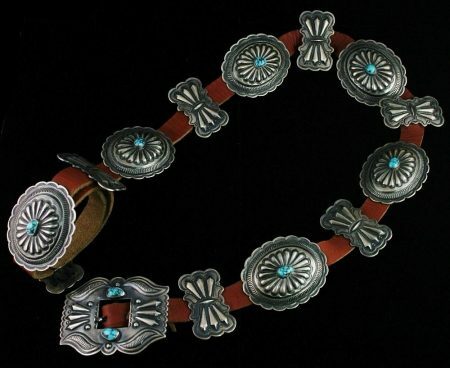 Rick Martinez collaborated with his brother Terry to create this magnificent concho belt. 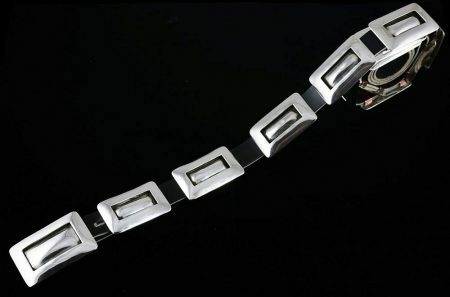 Rolled and hammered from thick ingot sterling silver, the belt was made for Terry's daughter to wear in her graduation ceremony from middle school. 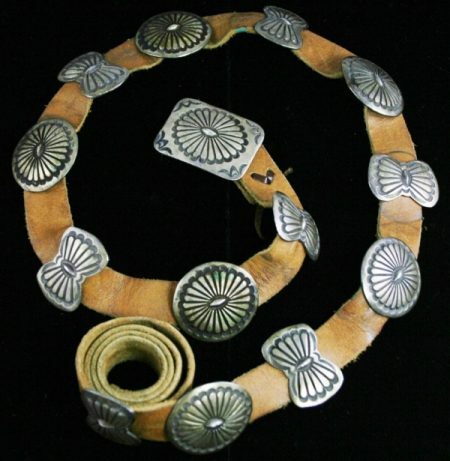 Every effort was made to finish the eight conchos in perfect replication. The stamp work is intensely complex and superb. 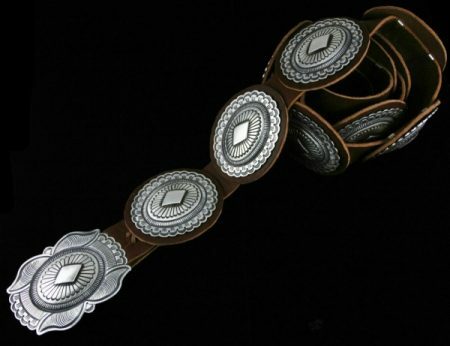 The diamond pattern is overlaid in the center of each piece. 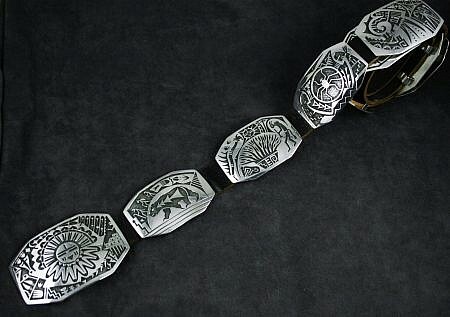 The buckle is unique and proportioned to set off the rest of the belt. 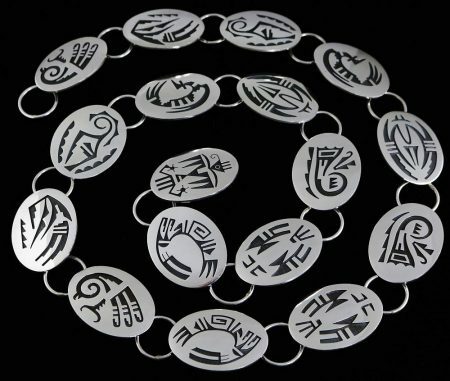 The finished piece is classic Navajo wearable jewelry, to be worn with pride for generations.